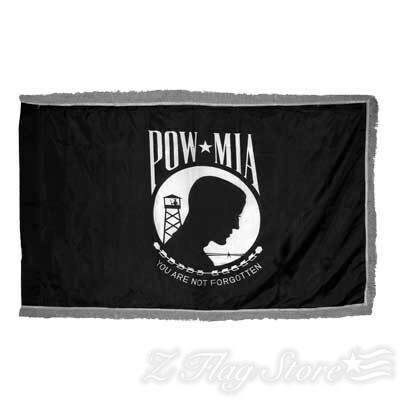 The indoor Army flags are available in 3’x5’ and a 4’x6’ size. 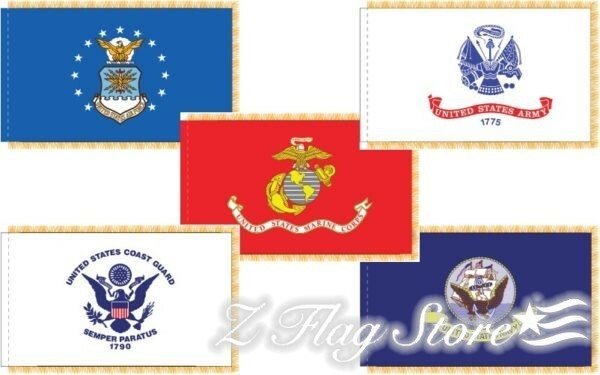 Our indoor military flags are available with or without a featured rayon gold fringe running along three sides of the flag. The side of the flag that isn’t fringed is fitted with a hem and pole sleeve. 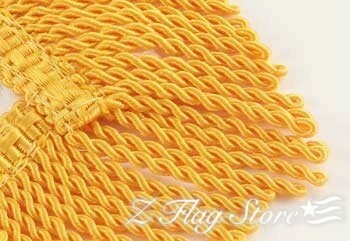 The poles sleeve is lined and can be used with an indoor flagpole with a diameter of 1.25”. 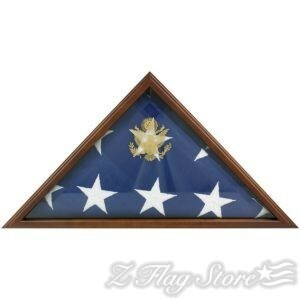 To attach the flag simply slide the flagpole into the pole sleeve. 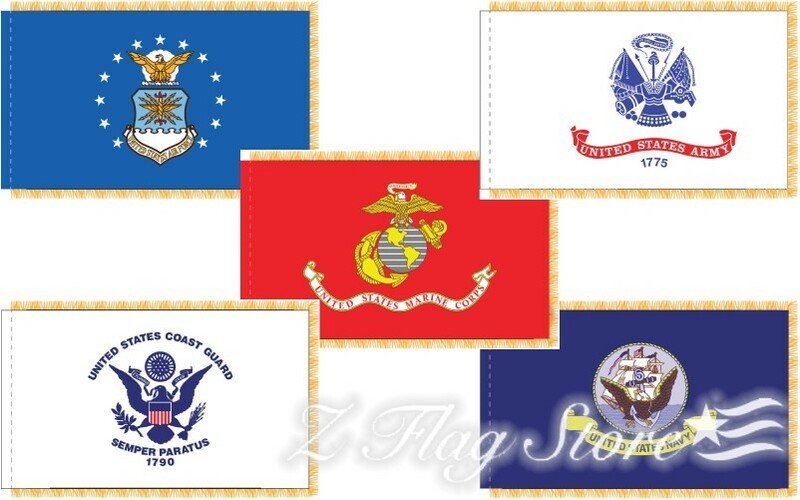 3’x5’ flags are ideal for 8’ poles and flagpole sets, the 4’x6’ flags are good for use with poles measuring 9’ or more. The fringed Army flags are often used for color guard events and ceremonies. 3 x 5 ft., 4 x 6 ft.